Since Samsung Galaxy A5 2017 and Galaxy A7 2017 came to life, it has been more than two months, however, the phones’ release strategy has been quite unpredictable. So far, a number of European markets have already started shipping the Galaxy A5 2017 and Galaxy A7 2017, however, it is only today that the phone will be available for purchase in India, which is one of the fastest-growing emerging markets in the smartphone industry. 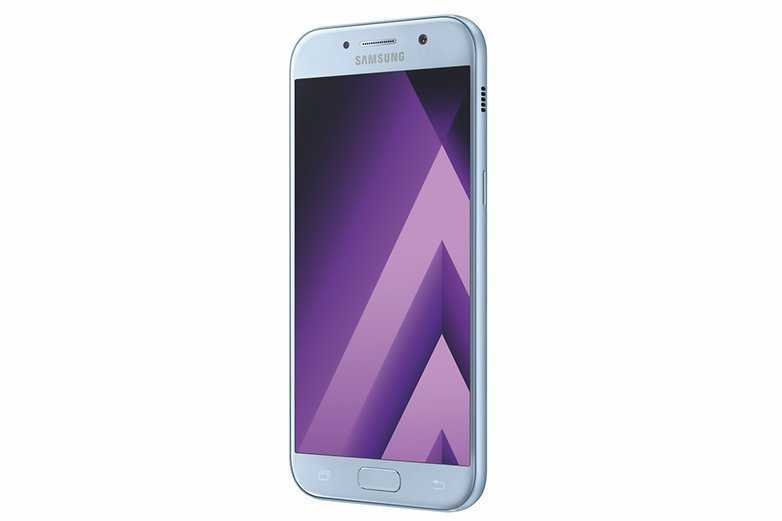 Where Samsung Galaxy A5 2017 has a price tag of Rs 28,990, the larger Galaxy A7 2017 comes in with a price tag of Rs 33,490. Both phones are pre-installed with the latest Samsung Pay application and are powered by Android Marshmallow out of the box, although an update to Android Nougat should show up in the coming days. Both Samsung Galaxy A5 2017 and Galaxy A7 2017 were first unveiled in India at the beginning of this month and even though the entire Galaxy A 2017 has three handsets so far, the entry-level Galaxy A3 2017 won’t be making it to these sides of the world, at least for now. Samsung gave the new 2017 Galaxy A series a new premium touch, going for glass and metal bodies that are protected by Corning Gorilla Glass as well as IP68 dust and water resistant certifications. The specs under the hood are not bad either, with both models shipping with the same Exynos 7880 SoC that is paired with 3GB RAM and 32GB of storage. This storage can be expanded in each case and like expected, the two support dual-SIM connectivity. The Galaxy A5 2017 has a smaller 5.2-inch Super AMOLED screen while the Galaxy A7 2017 ships with a bigger 5.7-inch panel, however, both have the same 1080p resolution and 2.5D glass on top. The cameras are the same, with 16MP sensors on either side, but due to the different screen sizes, you get a 3000mAh battery on the A5 and a 3300mAh battery on the A7.